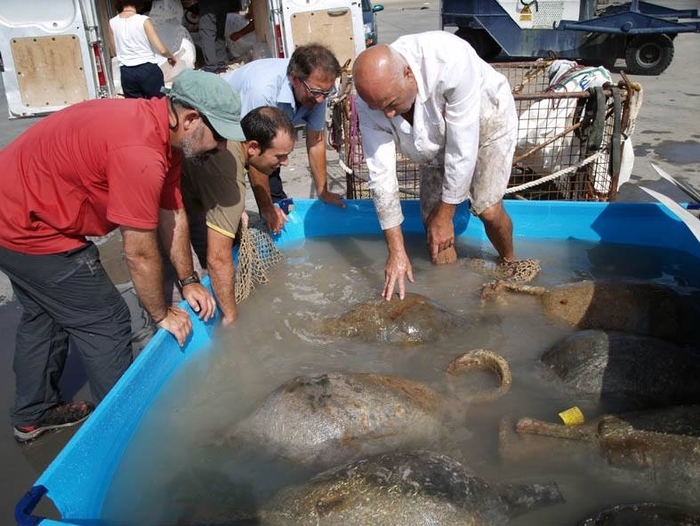 The Bou Ferrer shipwreck off the coast of Villajoyosa (Vila Joiosa in Valenciano) is the largest Roman merchant vessel currently being excavated in the whole of the Mediterranean, measuring almost 30 metres in length, 8 metres in breadth and 4 metres draft. In its day it was able to transport some 2,500 amphorae, which were manufactured in potteries such as the one at Villanueva de Puerto Real in Cádiz. Each of these amphorae contained around 40 litres of garum (a sauce made from a wide variety of fish which was highly prized in Roman cuisine, see below) along with other lesser grade fish sauces, and merchant ships were used to take them from the Roman province of Baetica which extended throughout this area of modern day Spain to other areas of the Empire. These fish sauces were an important, and extremely expensive part of Roman cuisine as they were transported throughout the Mediterranean, and the ship which sank of Villajoyosa could carry between 160 and 215 tons, rendering its cargo a highly valuable one. The significance of this shipwreck lies in the fact that not only is it extremely well preserved, but it is also located in shallow enough water for divers and underwater archaeologists to reach it. It was actually found in 1999 by two divers, José Bou and Antonio Ferrer, and has since received the surnames of its two discoverers. 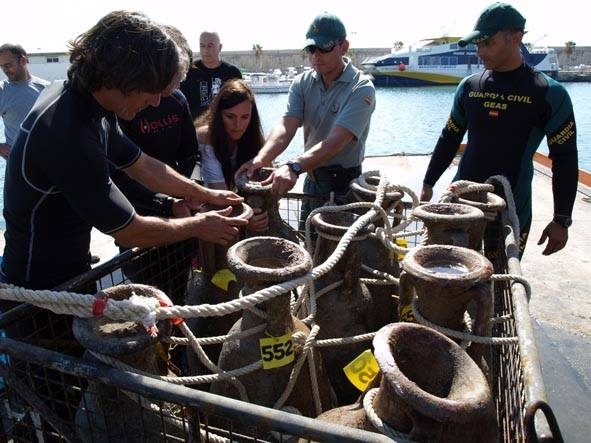 Since its discovery archaeologists have recovered over 200 amphorae from the Bou Ferrer wreck, and in 2012 an innovative research and information campaign was set in motion by regional and local authorities in collaboration with the University of Alicante in order to make the most of this item of underwater cultural heritage. 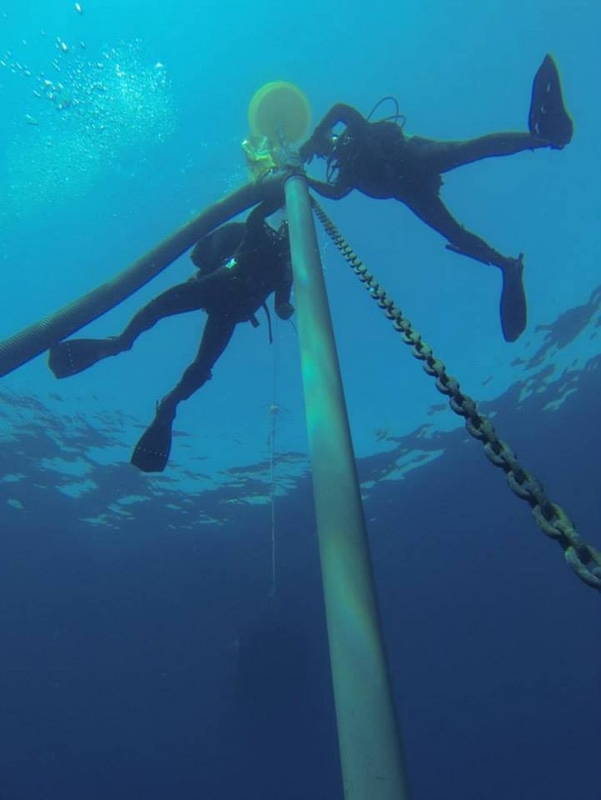 The wreck is located just five minutes away from the port of Villajoyosa, and has been identified as a possible boost to dive tourism in the Marina Baixa area of the province of Alicante. Guided underwater tours have been set up, the first of them taking place in September 2013, and interest in the wreck has been constant as new discoveries are being made all the time. Those visiting the wreck pass first through the Vilamuseu in Villajoyosa to learn about the excavation procedure and see some of the amphorae recovered from Bou Ferrer. At the same time they contribute to the promotion of the wreck as a tourist attraction and as an item of historic importance. Apart from the amphorae on board considerable interest has been aroused by bars of lead from the Sierra Morena which were found in the ship’s hold. The results of investigations into these bars have conferred even greater importance on the Bou Ferrer wreck: the bars are stamped with the legend “IMP. GER. AVG”, showing that they belonged to the Emperor of Rome himself, and it is hoped that future research will establish whether the owner was Caligula, Claudius or Nero. It has already been established that the wreck dates from the middle of the 1st century AD. 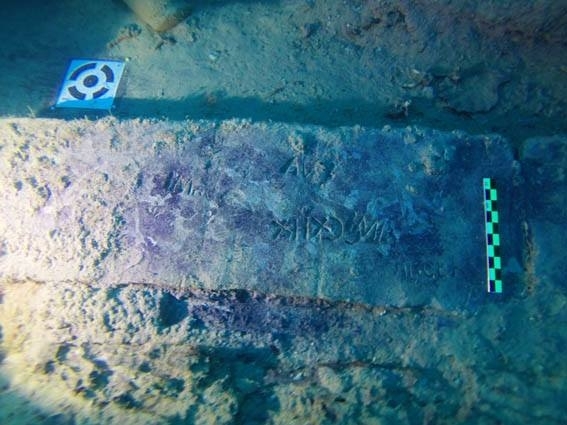 In September 2014 experts working on the project were able to ascertain that the merchant vessel was built in Naples, the wreck demonstrating all the trademarks of the master carpenters of Naples in the first century AD, including the use of wooden stakes to fix the timber frame to the hull. The stakes used are lightly conical in shape, and alternate with reinforcing iron stakes hammered through the hull from the outside and into the timber crossbeams. Research continues as the sub-aquatic archaeologists working on the site bring to light new discoveries, slowly removing the cargo from what is now known to have been no ordinary shipment: this vessel was probably carrying valuable trade cargo owned by the Emperor himself and the Imperial family when it sunk, for reasons as yet unidentified. Garum was a pungent fish sauce, one of the main products produced in the Iberian peninsula ( Spain) during the Roman Empire and exported throughout the Mediterranean, packed in ceramic amphorae. Citizens of Ancient Rome considered garum to be an aphrodisiac, and it was restricted to the uppermost levels of society due to its price and the high costs of both producing and transporting it. It consisted of a paste which, when mixed with wine, vinegar, oil or water, was served as a condiment for other foods. 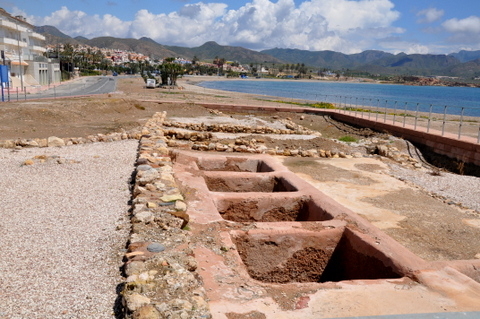 There are remains of Roman salting tanks and “fish sauce factories” right along the Mediterranean coastline where this sauce was produced and enough historical evidence to explain how it was made: the innards of a long list of fish and seafoods were placed in a recipient - tuna, squid, oysters, cockles, prawns, eels, cuttlefish and mackerel - and a generous amount of salt was added. Later other small fish would be added, including anchovies, sardines, horse mackerel and other small fry, and after further salting the whole mix was dried in the sun while being frequently stirred. Once it was dry, due to the heat of the sun a liquid oozed out of the solid mass created: this liquid was the prized "garum". Another of the various ways to prepare garum was using the "blood" method. This used the innards, blood and gills of tuna mixed with salt to a certain proportion and dried in the sun for over two months. This effectively causes the fish's own digestive tract to digest itself in the presence of an anti-septic substance (salt), which prevents the food from spoiling. There is also a certain level of microbial fermentation which causes the paste to mature in the same way as in some cheeses, according to the French specialists Grimal and Monod. Lesser grade sauces were produced from the remaining fish once garum had been extracted. Different grades of garum were known to exist depending on the products used to create it and evidence has been found of Garum Escogido, Mackerel Garum (Garum Scombri), Garum Selecto (Liquamina), Select Tuna Brine (Muria) and normal Tuna Brine (Muria Secunda). As well as an item of delicatessen, garum was also considered a para-pharmaceutical product.